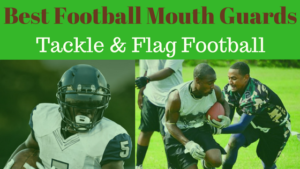 Find the best flag football adult leagues, pickup games and tournaments in the state of New Hampshire. 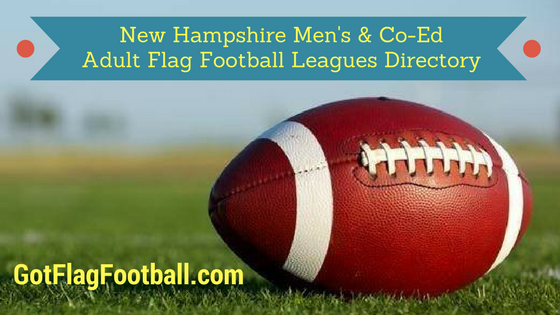 Below you’ll find the top up-to-date for 2019 list of fall, winter, spring and summer, indoor and outdoor local flag football leagues, pickup games and organizations that offer tournaments, organized from the highest to least populated cities and towns in NH. 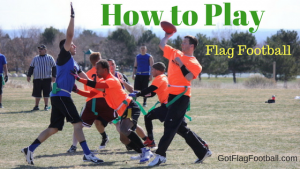 GotFlagFootball.com brings together the recreational and competitive local flag football New Hampshire community of organized leagues, city recreational leagues and pickups in one list (in alphabetical order), so that it’s easy to find a game near you. 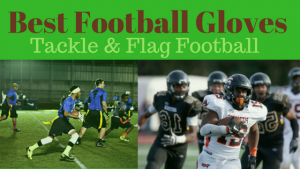 Various flag football leagues are offered by My Social Sports. 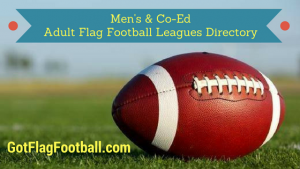 It offers various co-ed leagues, which play 8v8 with at least 3 members of each gender required on the field at any one time. 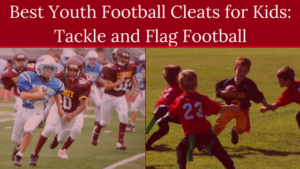 Seasons vary from 6 to 8 games plus playoffs, and games are played on either Saturday or Sunday. 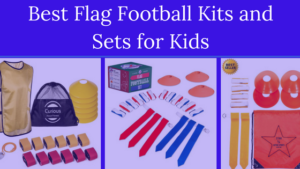 This league has been voted the best Flag Football league in New Hampshire for 6 years in a row. It is a 5v5 league, and is available to adults aged 18 years and over. Games are played on Saturday’s, and start between 8:15am and 3:30pm. Seasons are offered in the Fall and in the Spring. SportsZone provides a league for adults aged over 18. It is a 5v5 league, and rosters are asked to have at least 9 players. Games are held between 8am and 5pm on Sunday’s. The season runs for 8 weeks, before playoffs are offered for the top 8 teams. Games are played indoors. This is a 5v5 league, which is played outdoors on a turf-style pitch under lights. Games are on Wednesday nights, with make up games played on Wednesday. 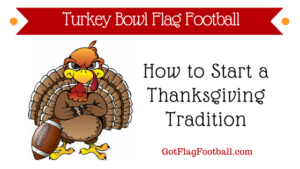 It is a 7 week season, with a playoff tournament held in week 8. It is available only for men.